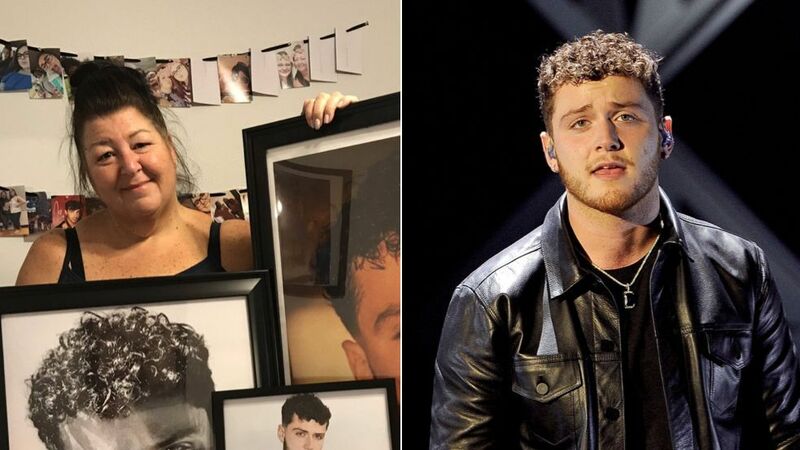 A 17-year-old Bazzi super fan and her equally obsessed mom are proving a point: Stanning doesn’t have to be kept a secret from your family. That’s the lesson to be learned after Tammy surprised her daughter, Savannah, with three massive photos of Bazzi, one of the high school student’s all-time favorite artists. Just as much as Savannah shares her fandom online, both mother and daughter express their love of Bazzi in the real world, too. Just one day after seeing Bazzi for the first time at 106.1 KISS FM’s Jingle Ball in Dallas, Tammy pulled out all the stops for her daughter. Though Tammy’s rather new to the “Beautiful” singer’s fandom, Savannah is a long-term, card-carrying member. And while her mom wasn’t a full-fledged fan just yet, Tammy was fully aware of Bazzi as a result of Savannah’s stanning and attendance at the Cosmic tour earlier this year. Little did Savannah know, Tammy was plotting the giant photo surprise for her daughter as a birthday present. Savannah’s tweet showing her mom with the three life-size Bazzis immediately caught the love and affection of fellow fans, all in agreement that Tammy is the definition of mom goals. O M G…..I love this. and her….and you. Being supportive of her daughter’s interests isn’t anything new for Tammy. In fact, it’s Savannah and Tammy’s shared fandom of Bazzi and other musicians that keeps their relationship so tight. Tammy’s parenting philosophy is different from what most would expect from a stan’s parents. She actively makes an effort to listen to what Savannah’s into and show support for her daughter’s interests. As far as the three framed photos go, Savannah and Tammy already have a plan for where they’re going.